Welcome to “the House of Rappleye”! 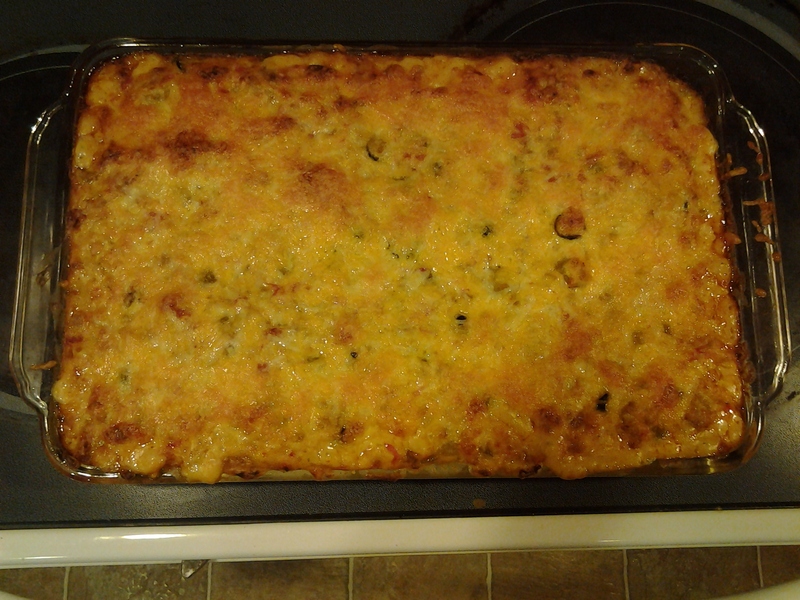 This is one of my family’s favorite casseroles! It was inspired by a recipe that my mother emailed me. I tweaked it…a lot, & it is quick, easy, inexpensive, versatile, & tasty. You can make it vegetarian, gluten-free, vegan, super meaty…I can easily increase the quantity for a potluck or bring it down for just my husband & I. 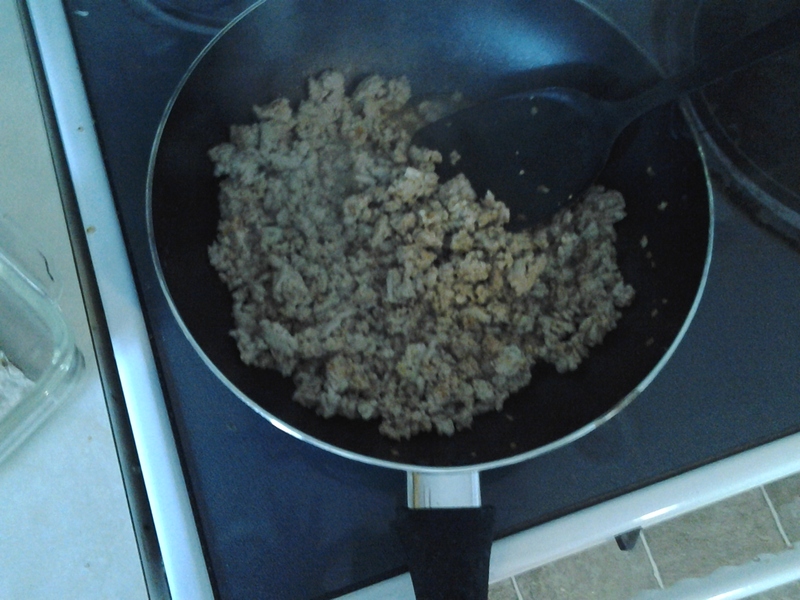 Personally, I like this dish without meat, but all of the men in my house prefer some chewable protein in it, so we have compromised on ground turkey. I usually cook it up, much like I would for tacos. 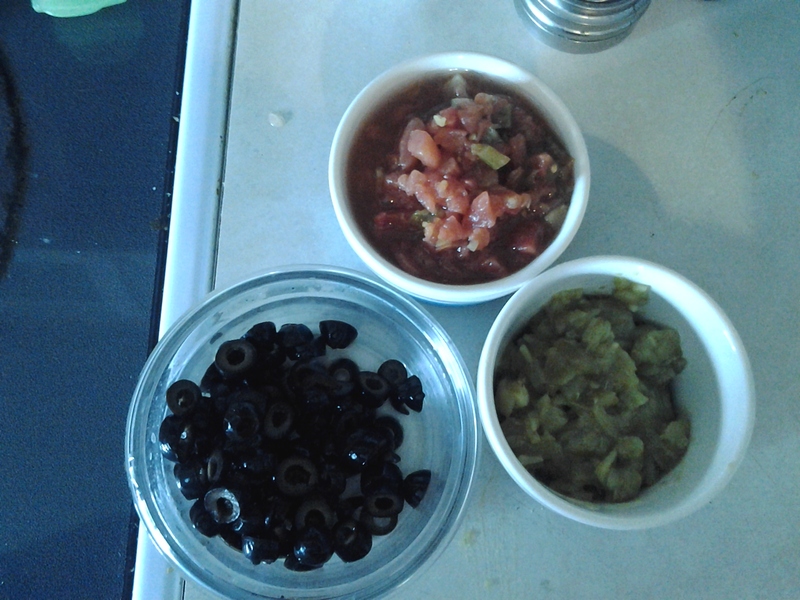 Then I add diced chilies, 1 can of diced tomatoes with chilies, & some sliced olives. 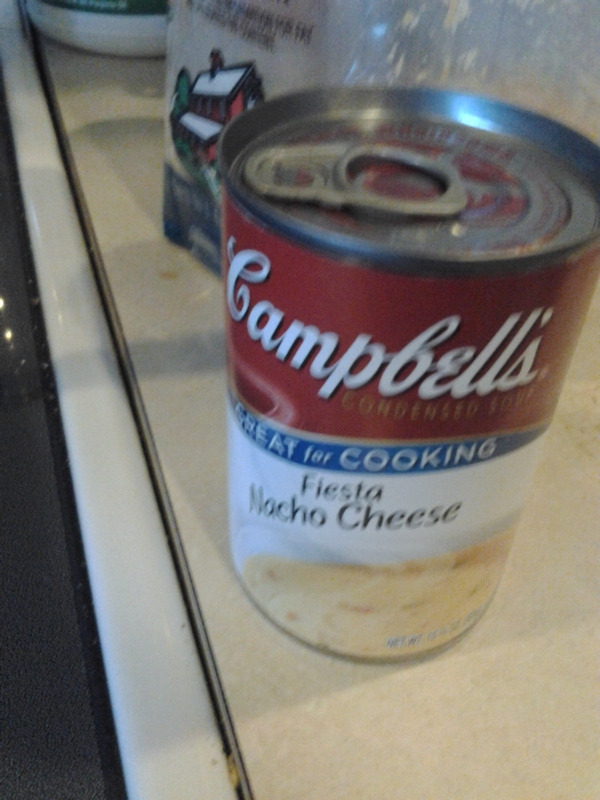 Campbell’s Condensed Fiesta Nacho Cheese Soup…If I could figure out how to mimic it using natural ingredients, I would! If anyone else has any ideas or know how, please share! I use one can of the above soup, an equal amount of sour cream. (If you wanted to make a vegan or dairy-free version, you could omit the cream soup & use Tofutti Better Than Cream Cheese & Better Than Sour Cream or similar brand, then add some extra spices.) I also sprinkle a small sprinkle of shredded sharp cheddar cheese into the mixture too. Stir it well. 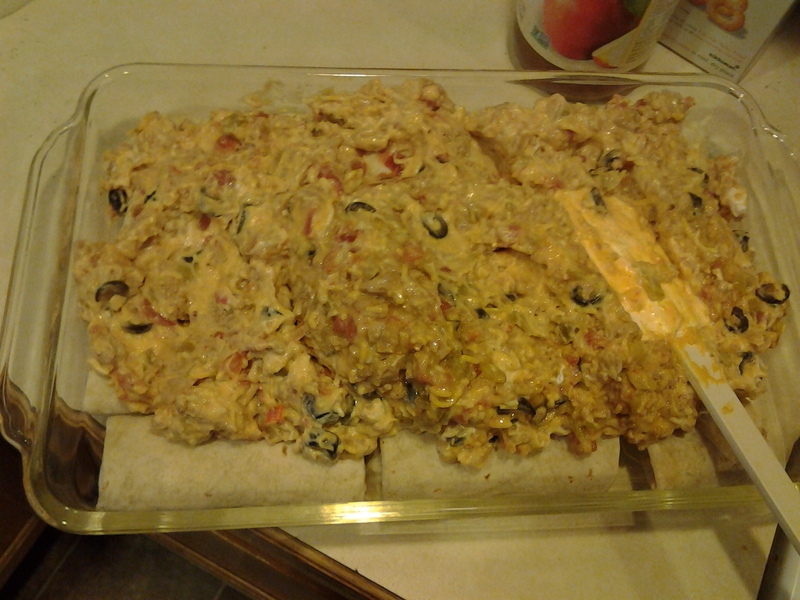 Smear the sauce mixture evenly over the burritos, making sure to schmoosh (that’s a technical term) into all of the cracks & gaps. 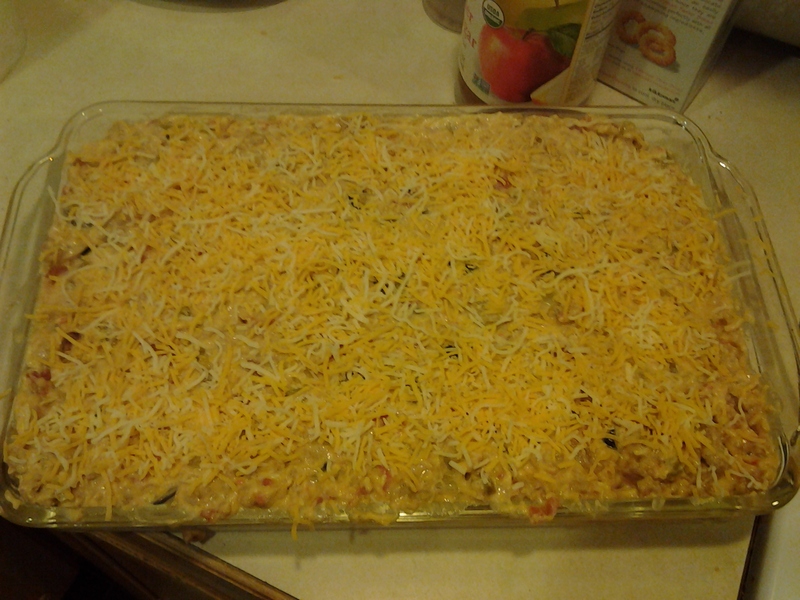 Once it is evenly spread out, sprinkle with shredded cheese. 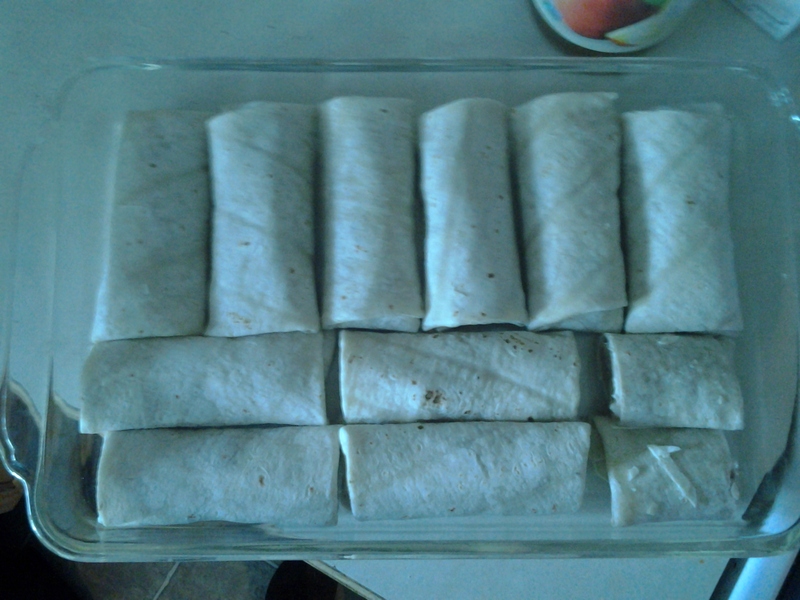 Preheat the oven to 435 & bake for about 35 minutes (as long as the burritos were completely thawed, a little longer if they were still frozen). I hope that it makes mouths as happy in your home as it does in mine! Group 12 – Reunion Group, raw.honest.loved. I kissed a girl (and a boy!) and I liked it. how we love, laugh, cook, & function…in our dysfunction.